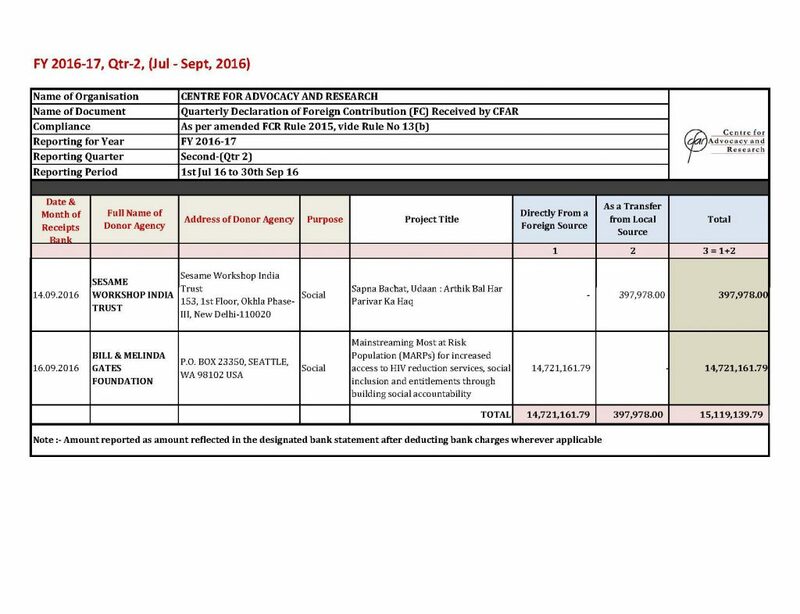 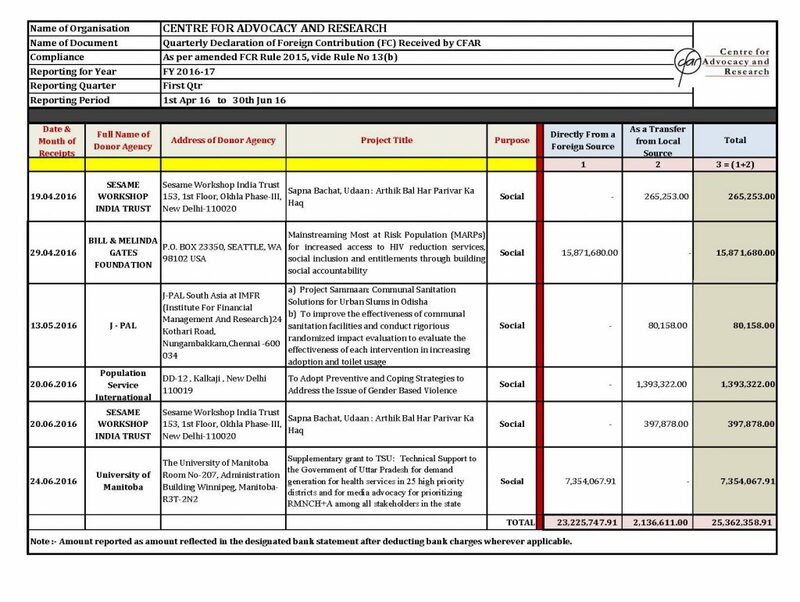 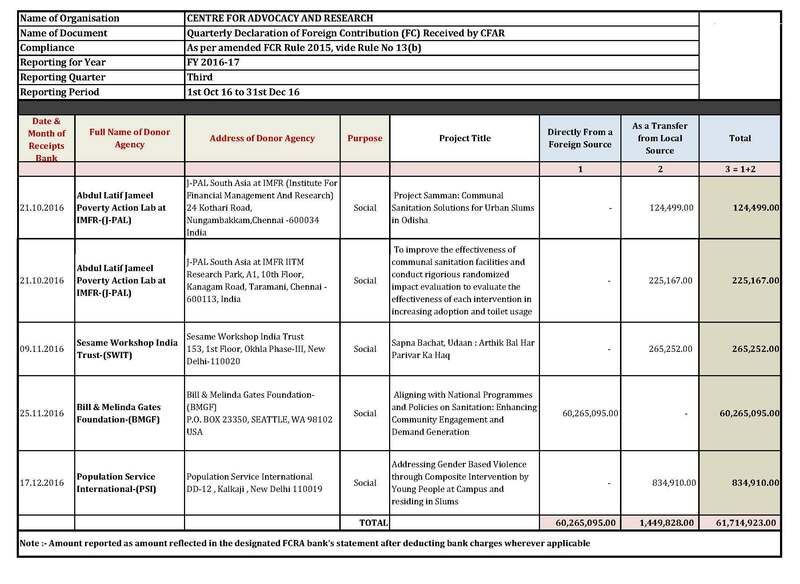 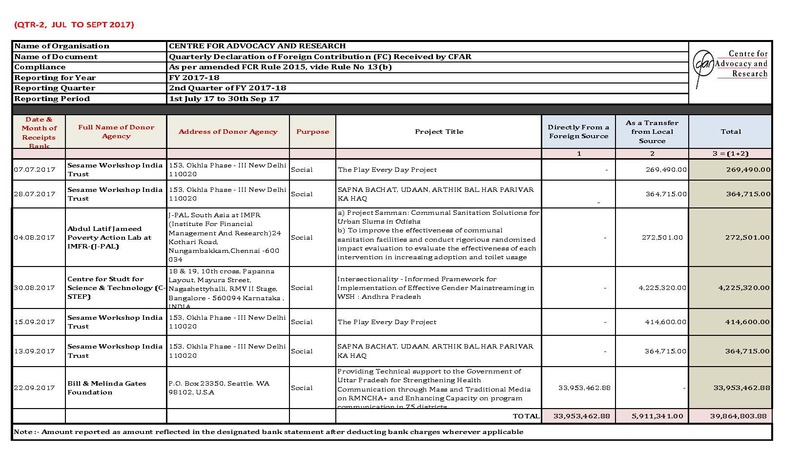 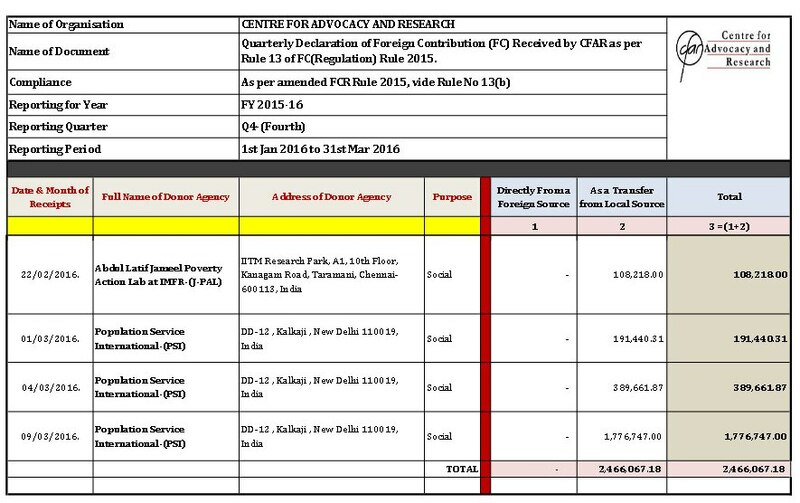 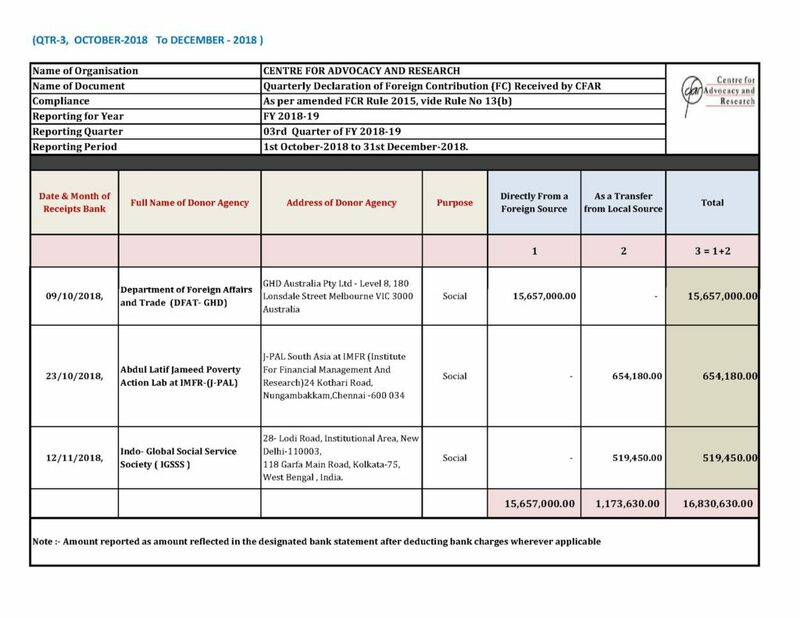 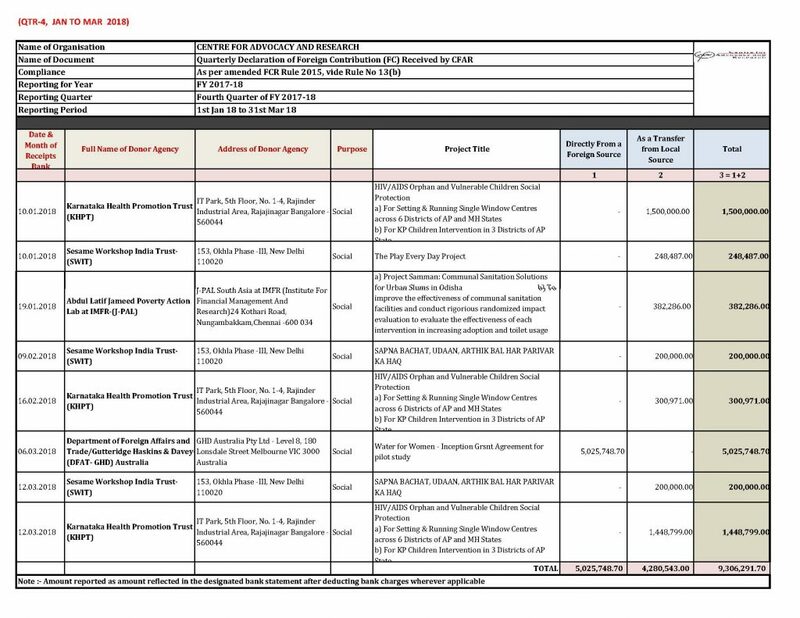 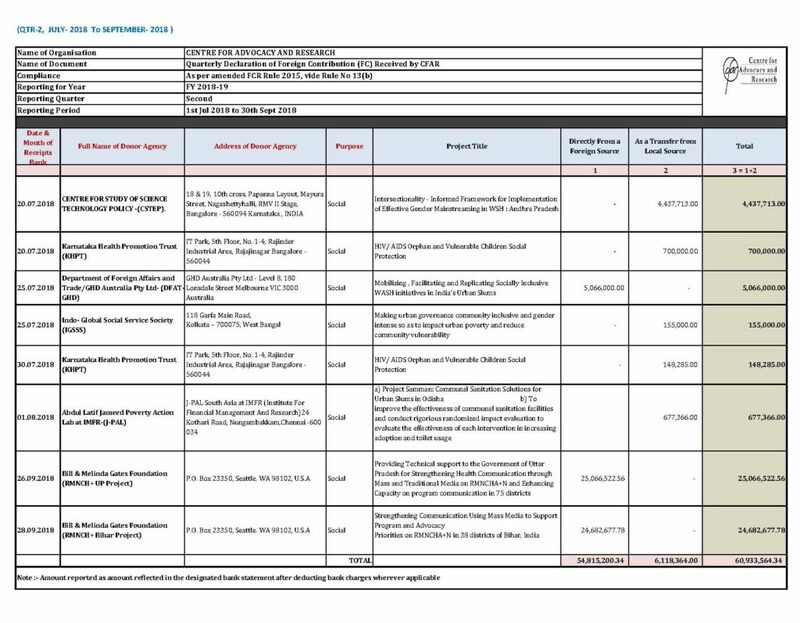 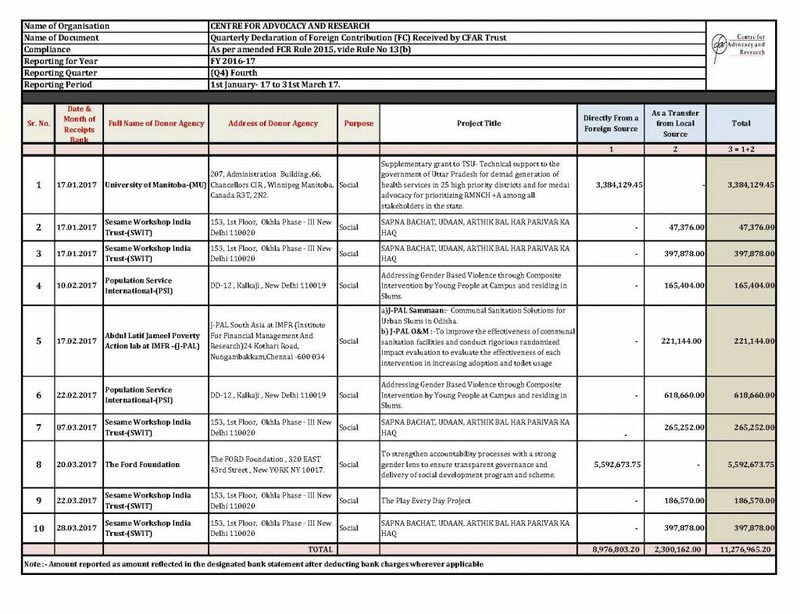 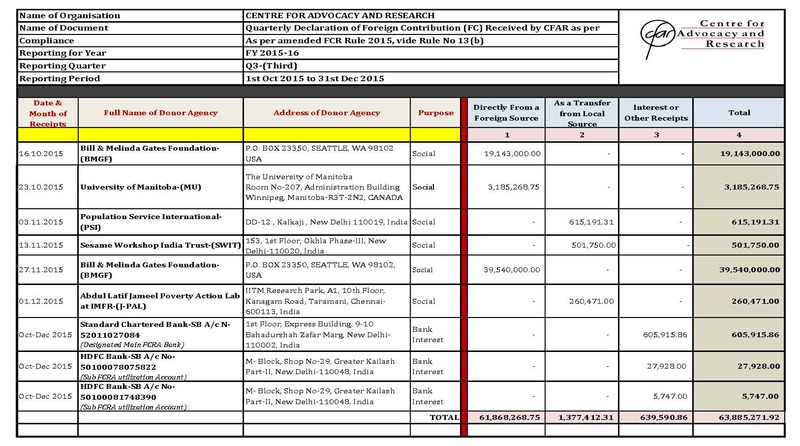 Centre For Advocacy And Research, hereby declares the required information, pertaining to Foreign Contribution received and utilized, by virtue of Rule 13 of (FCRA) 2011 and latest amended FC Regulation Rule 2015, which are described and shown as under. 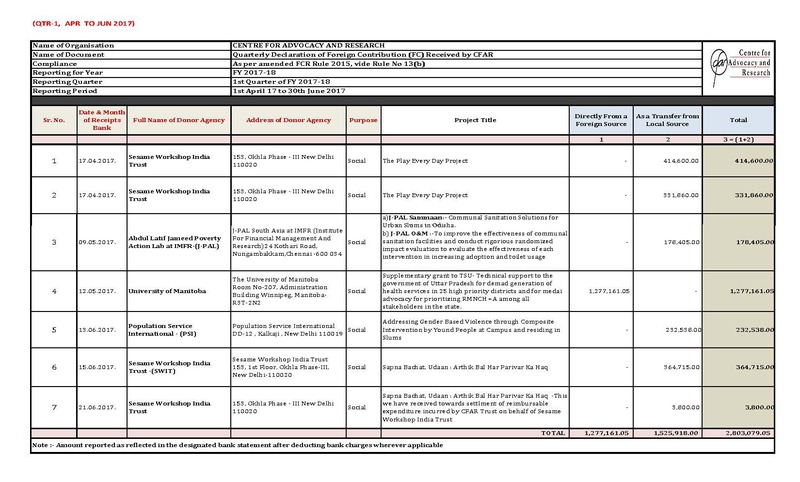 Rule 13(a): Organizations/ persons, registered or prior permission, shall share relevant documents for every financial year beginning on the first day of April within 9 months of the closure of the financial year on its official website or on the website as specified by the Central Government. Rule 13(b): A person receiving foreign contribution in a quarter of the current financial year shall place details of foreign contribution received on its official website or on the website as specified by the Central Government within 15 days following the last day of the quarter in which it has been received clearly indicating the details of the donor, amount received and date of receipt.